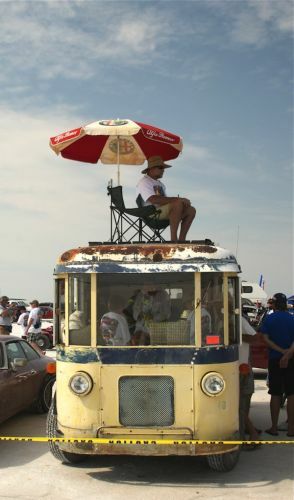 Coverage of the 2012 Bonneville speed week is documented here by our faithful contributor Doug Hays. Doug is a member of the, HAMB message board and goes by the name Mozilla and is also a member of the Old Farts section on the HAMB board. Doug is an excellent photographer as you'll see as you click through the photos. He gets up early to get great sunsets, he goes to bed late to get great sundown, and spends the rest of the time wandering around the nugget casino.